Eschew the tourist crowds and head to Kiama Blowhole and Shelly Beach. 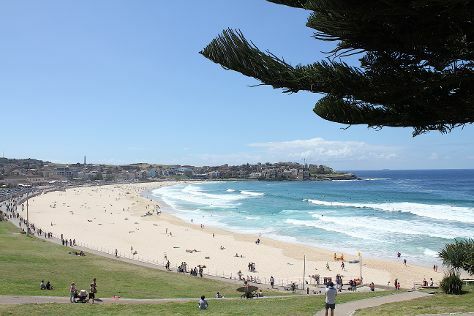 Step out of the city life by going to Manly Beach and Bondi Beach. Go for a jaunt from Sydney to Wollongong to see Nan Tien Temple about 1h 30 min away. And it doesn't end there: wander the streets of The Rocks, admire the natural beauty at The Royal Botanic Garden, see a show at Sydney Opera House, and hike along Bondi to Coogee Beach Coastal Walk. To find ratings, traveler tips, more things to do, and more tourist information, you can read our Sydney trip site . Lisbon, Portugal to Sydney is an approximately 26-hour flight. You can also do a combination of flight and bus. The time zone difference moving from Western European Time (WET) to Australian Eastern Standard Time (New South Wales) (AEST) is 10 hours. Traveling from Lisbon in January, things will get much warmer in Sydney: highs are around 32°C and lows about 23°C. Finish your sightseeing early on the 12th (Sat) to allow enough time to travel to Melbourne. 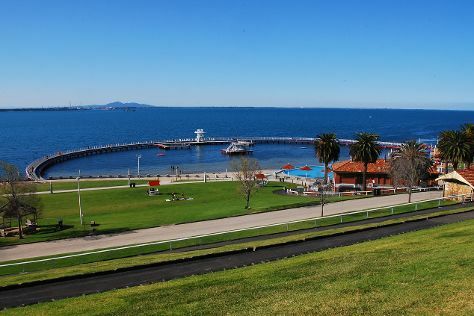 Relax by the water at Eastern Beach Reserve and Ocean Beach. You'll explore the less-touristy side of things at Ballarat Wildlife Park and 13th Beach. Explore Melbourne's surroundings by going to McCrae Beach (in McCrae), Bells Beach (in Torquay) and Moonlit Sanctuary Wildlife Conservation Park (in Pearcedale). Spend the 19th (Sat) exploring nature at Point Nepean National Park. Spend the 17th (Thu) wandering through the wild on a nature and wildlife tour. There's still lots to do: take in nature's colorful creations at Royal Botanic Gardens, admire the striking features of Shrine of Remembrance, enjoy the sand and surf at Somers Beach, and take in panoramic vistas at Eureka Skydeck 88. To find where to stay, more things to do, maps, and other tourist information, refer to the Melbourne road trip planner . Traveling by flight from Sydney to Melbourne takes 3.5 hours. Alternatively, you can do a combination of flight and shuttle; or drive. Expect a bit cooler evenings in Melbourne when traveling from Sydney in January, with lows around 17°C. Cap off your sightseeing on the 19th (Sat) early enough to travel back home.